Arts and Flowers is always a highlight of my year. For the 6th year, I will be joining 40-50 other floral designers, Ikebana and Garden Club members in creating floral art inspired by a piece of art from the permanent collection. 2012 Arts and Flowers - You are invited! The Phoenix Art Museum League invites floral designers to select a piece of artwork (or if you are brace, have it selected for you, like I did last year!). This piece of art becomes the inspiration for the floral art. There are so many creative floral artists in our valley, that both the creation of my own piece, as well as enjoying other’s floral art are both so enjoyable! The staff at the Phoenix Art Museum do a great job of coordinating and supporting this event, too. There are a variety of events during the weekend of April 12th to the 15th. Most of the events are included in the price of the regular Art Museum admission. Click here for all Arts and Flowers details, and come join us! You can vote for your favorite piece, and enjoy a beautiful, enjoyable, creativity-inspiring time! 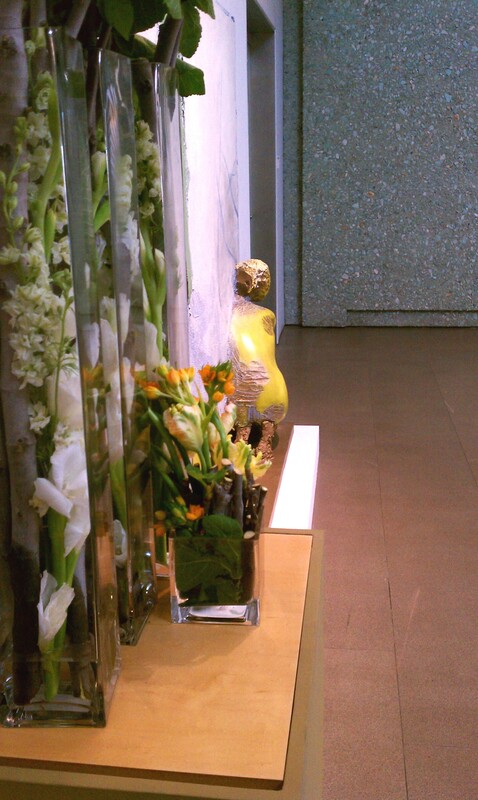 Click here to view the 2011 Florists’ Gallery to get inspired by last year’s pieces. Comments Off on It’s time for Arts and Flowers again!